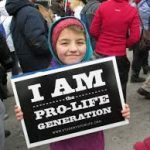 Mass at Cathedral & March for Life • Tuesday, January 22nd • Come and Join Us! Join us for the Annual Prayer Service for Life at the St. Paul Cathedral. This Prayer Service commemorates the millions of lives lost to abortion and the many women and men wounded by abortion aftermath. Archbishop Bernard Hebda will be the presider this year. All are invited and welcome! Following the Prayer Service, plan on going to the State Capital to join in the 2019 Minnesota Citizens Concerned for Life March. The March will begin at noon, followed by a brief program at 12:30pm. Please set aside one hour to speak out for the unborn children and their mothers! and at Lund’s in Wayzata. We will return at approximately 2:15pm. For additional information call: Jerry Mader at 612-868-9142.